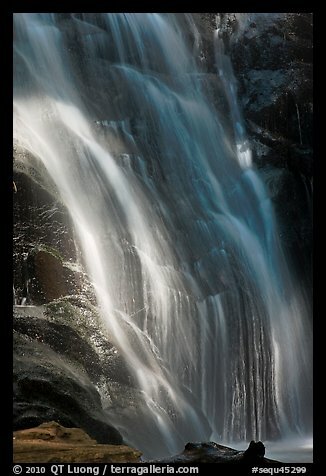 I have posted new images of Sequoia National Park. 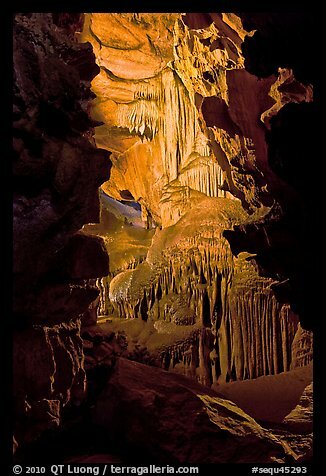 Last summer, I visited the last easily accessible site in the park that had eluded me, Crystal Cave, one of only five caves open to visitors in the National Parks (the others are Mammoth Cave, Carlsbad Caverns, Wind Cave, and Lehman Cave in Great Basin). I was glad to have waited that long. Because the visit has to be in a guided tour during which tripods are not permitted, it would have been more difficult to photograph during the film days. I was able to take advantage of technology advances, setting my camera at ISO 1600, which let me handhold in dim light with my 24-105 stabilized lens. I also used this high sensibility setting to make the night photograph that appears in the previous blog entry. 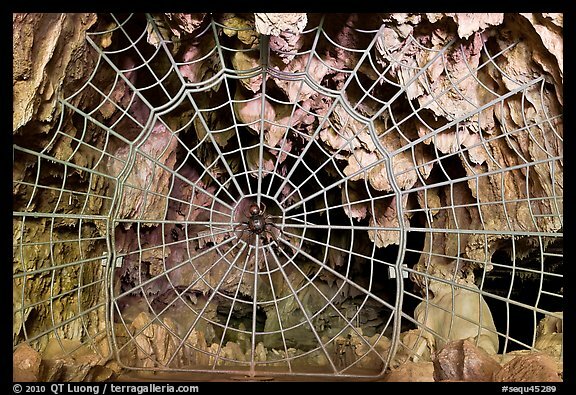 The cave itself is reached after a windy drive, and then a half-mile hike down a canyon where waterfalls are found. Tickets need to be purchased at a visitor center, rather than at the cave entrance or trailhead.